We might be able to re-stock this item, contact us to request stock of this item. This item is now sold out, if you ordered this item it will be dispatched when we receive it from our suppliers. All of your favorite characters and locations from the latest episodes are here in the Series 5 My Little Pony Trading Card Fun Packs! All-new artwork, fun content, songs, trivia, and more. Look for box-topper cards in every hobby box (4 to collect). There’s fun in every pack. Look for puzzle cards, tattoos, stickers and more! Pokemon Series 3 Plushies Now Available!!! Force of Will - Awakening of the Ancients V3 Available for Pre-Order! 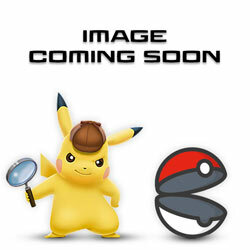 Pokemon Unbroken Bonds Singles Now Available to Pre-Order!! !